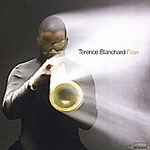 Flow is trumpeter Terence Blanchard's first album since Bounce (2003), and it features most of the same players from that album: Brice Winston on tenor and soprano sax, Lionel Loueke on guitar and vocals, and Aaron Parks on piano. 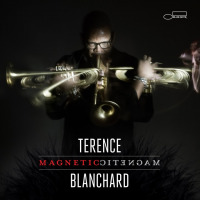 This recording includes drummer Kendrick Scott and bassist Derrick Hodge, two new additions to the sextetand what a difference they make in this group. 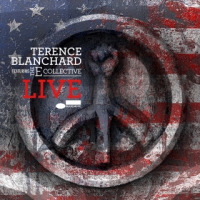 Blanchard's got an energetic young band with frightening chops and considerable compositional skills (everyone contributes at least one tune), and he's obviously stimulated by the company. 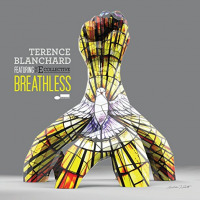 The album's produced by Herbie Hancockthis is indeed a "produced" jazz record, with a noticeable and at times rather wet studio glossand this is the rare situation where a celebrity musician/producer's presence adds an undeniable focus and accent to the final product. "Wadagbe," one of Loueke's compositions, serves as a perfect illustration of what's happening on this recording. 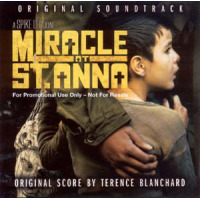 Blanchard plays the tune's theme in unison with Loueke's acoustic guitar over crisply delineated polyrhymic drum kit/percussion parts, Hodge's muscular, grooving electric bass, and positively sparkling piano work from Parks. One is reminded of Hancock's early-1970s Mwandishi sextet by this mixture of electric groove, studio grease, and harmonic deptheven before Winston virtually channels Mwandishi reedsman Bennie Maupin in his patient, slow-building soprano sax solo. The resemblances are striking, andconsidering the man behind the boarddefinitely intentional. Loueke contributes a trademark, part-vocalized guitar solo over more of that tight, meaty electric bass and triggered human-voice synthesizer samples, and then Blanchard steps up with a strutting, open-horn solo full of long, staccato phrases and slurred, bent noteshe's technically playing at the peak of his powers right now. Hancock's production on this album could have overwhelmed the actual music; instead, the slick mixes truly illuminate the rich tonal colors of the instrumentationevery element, be it synth, horn, or cymbal, is distinct and imbued with its own complimentary sonic identity. Besides, while this album's a studio artefact, this is an extremely physical band, composed as it is of players like Blanchard, Hodge, and Scott, all playing with almost bruising proficiency: witness those three interacting on the Latin-flavored, rhythmically complex "Wandering Wonder." Hancock replaces Parks on the piano for two songs, and while Parks is above reproach on songs like "Wadagbe" and "Benny's Tune," one still notices and marvels at Hancock's touch, especially on Scott's elegant, waltz-time "The Source." Hancock's solo here digs deep into the song's heart, both harmonically and emotionally, and his comping alongside Winston's across-the-beat tenor break is fascinating. Parks' "Harvesting Dance" is just as good, though, as the band builds drama throughout this Spanish-mode epic to almost unbearable effect. 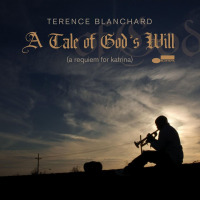 Here, and everywhere, really, on Flow, Blanchard sounds like the luckiest man in the world: confident, able, inspiredand delighted by the company he's keeping. This band will only get better on the road. 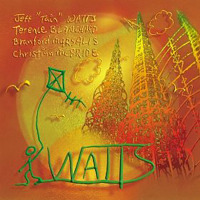 Track Listing: Flow part I; Wadagbe (intro); Wadagbe; Benny's Tune; Wandering Wonder; Flow part II; The Source; Over There; Child's Play; Flow part III; Harvesting Dance. 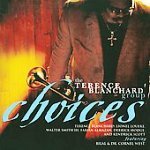 Personnel: Terence Blanchard: trumpet, synth programming; Brice Winston, tenor and soprano saxophone, Yamaha WX5; Lionel Loueke: guitar, vocals; Aaron Parks: piano (2, 3, 5, 8, 9, 11); Herbie Hancock: piano (4, 7); Derrick Hodge: bass; Kendrick Scott: drums; Howard Drossin: synth programming (11); Gretchen Parlato: vocals (8, 9).